Last week, I took the Myers-Briggs personality test. I took the free online version, of course, so I took it several times. Just to be sure. The first part of the result describes levels of introversion versus extroversion. Everyone is a balance of both introversion and extroversion. We need to be alone, and we need to be with people. The personality test measures your introversion-extroversion needs based on a percentage. I would say, at that point, I could be considered very introverted. I already knew that I was introverted. I spend the vast majority of my time alone – and I’m fine with that. I had lived in Tennessee almost a full 5 months before I noticed I hadn’t made any friends. Not one. I am a writer. Obviously. I spend a lot of time alone writing. I spend a lot of time alone just thinking. Processing information. Inventing things. Daydreaming. S’s younger brother is pretty introverted too. When he wanted to start going to a gym, he got online and researched socially acceptable behaviors when at a gym. I am THE. WORST. EVER. when it comes to small talk. I have the think and think, mentally prepare, and psych myself up to make small talk with strangers. I literally have no idea what to say. S is fantastic is small talk – and so is his sister. The two of them can get anyone talking. Complete strangers. For 10 seconds. In an elevator. I just watch them and marvel at their ease in conversing. Sometimes I make mental notes on things to talk about. 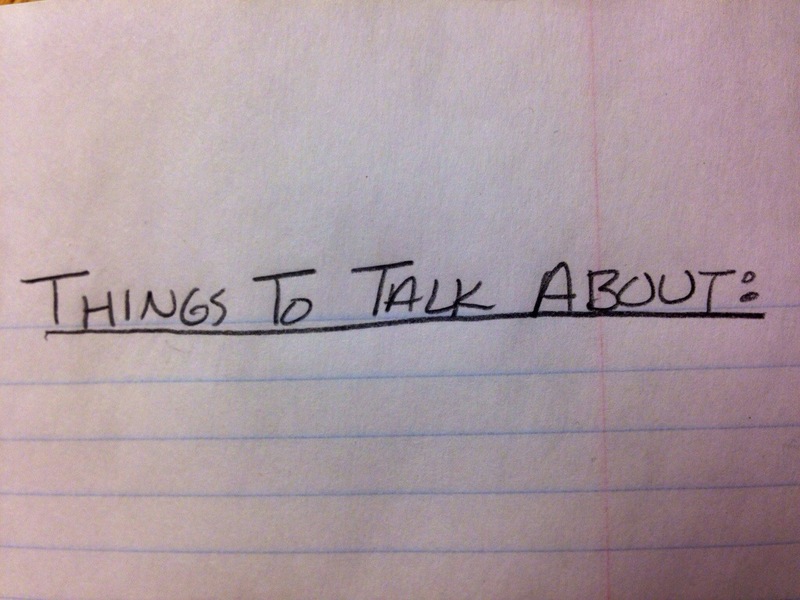 Maybe I should get a tattoo of small talk topics listed on my forearm. It could save me in the end. When they start a conversation with strangers, then turn away and leave me with them, everything drops. We kind of just look at each other. Do I smile? If I don’t smile, I might seem unhappy. But if I smile and just look at them, isn’t that creepy? If I smile and don’t look at them, I will look like I’m remembering something or daydreaming. What have we already talked about? S said something before he left….